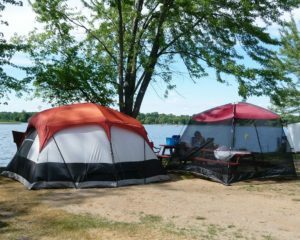 We made a list for the 10 Favorite Michigan Campgrounds. 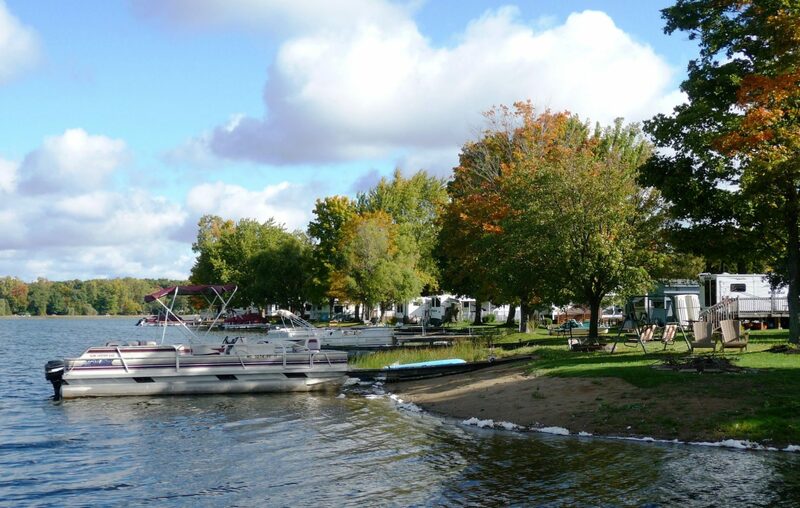 Greenwood Acres Family Campground was founded on the shores of an inland lake in 1972. Since then, our family campground has developed to include over 1000 campsites with paved roads, a swimming pool, Wi-Fi, a recreation center, modern bathhouses, a store, a café, a 9-hole golf course and many other amenities. 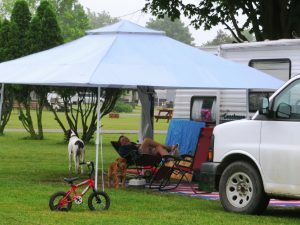 We are the largest campground in Jackson county with 300 acres to explore and enjoy. 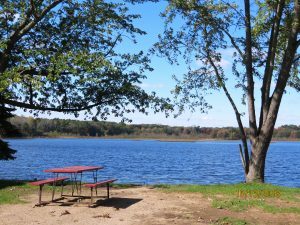 We are nestled on the south shores of Goose Lake, which is a private (no public access), 400 acre lake. For your convenience, golf cart rental is available for anyone with a valid driver's license and over 25 years of age. (Please see Amenities or the News & Info section for golf cart rentals). GWA provides campers with wonderful facilities that support more than 800 seasonal campers who call Greenwood Acres Family Campground home for the summer. Additional sites are available by the night, the week, or the month. Or perhaps you would prefer a lakefront site at Lot 13 & 14 on Canal Street? Imagine waking up in the morning to beautiful Goose Lake? Lakefront sites are available by the night and the week only. 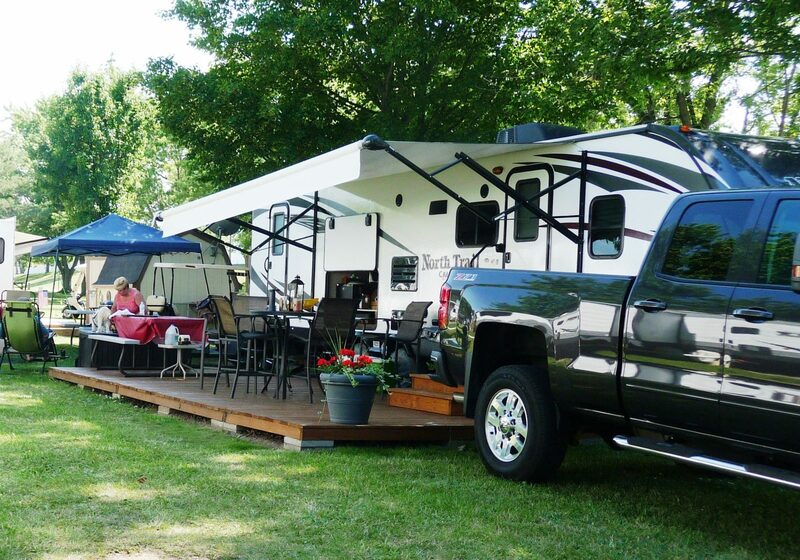 A pair of side-by-side, lakefront sites to enhance your camping pleasure.